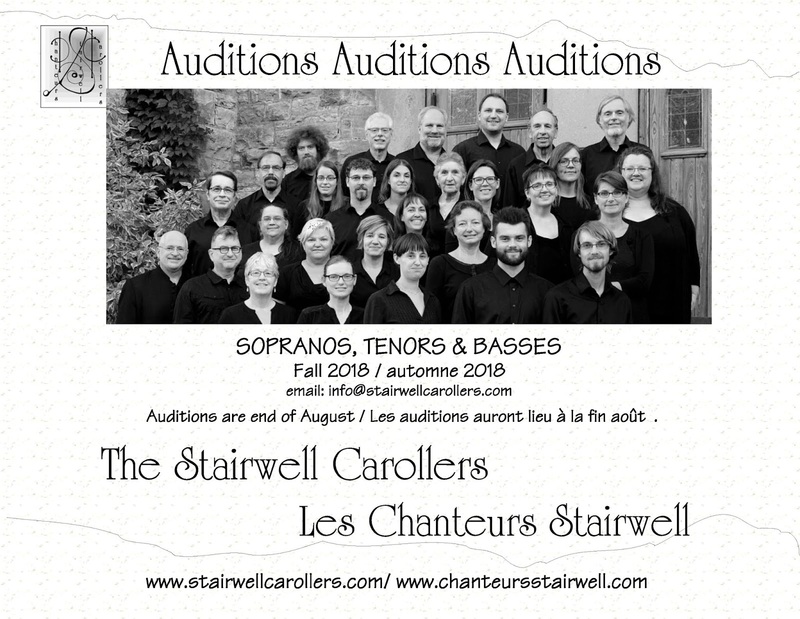 Top 10 reasons to Audition for Les chanteurs Stairwell Carollers - 5 - Français et Anglais! 5 - You like singing in English and French. Vous aimez chanter en anglais et en français. We are a proudly bilingual choir and, sometimes, we even sing French and English (and other languages) in the same song! 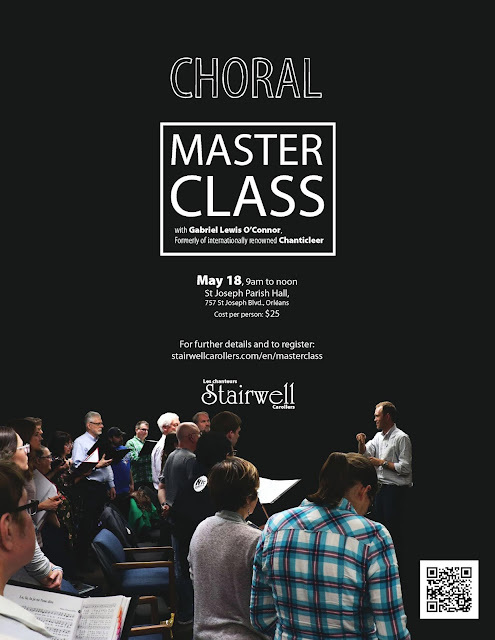 NB: the English verse is a John Rutter arrangement. If you're a soprano, tenor or bass, email info@stairwellcarollers.com to set up your audition time.